Do Other People Like Shopping At Tesco? 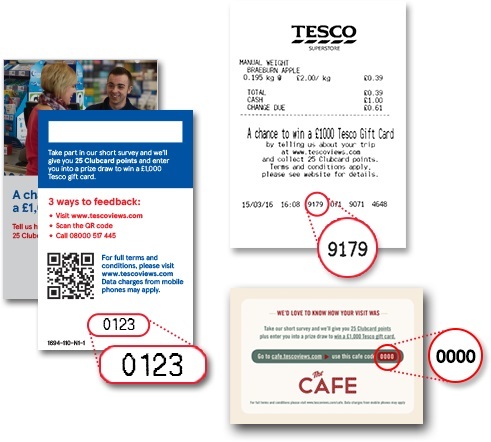 Tesco is giving away quite a bit of money through TescoViews, so there are a few rules you need to follow in order to be eligible for the £1,000 Gift Card prize. First, you need to be a UK resident and over the age of 18 years old. Second, you must not be an employee or the family of an employee that works at Tesco. Lastly, you may only enter once per month, and there is a limit of one entry per household per month. Don’t worry if you don’t have one – just enter in any number and it should let you through. What type of grocery shopping did you do at Tesco? 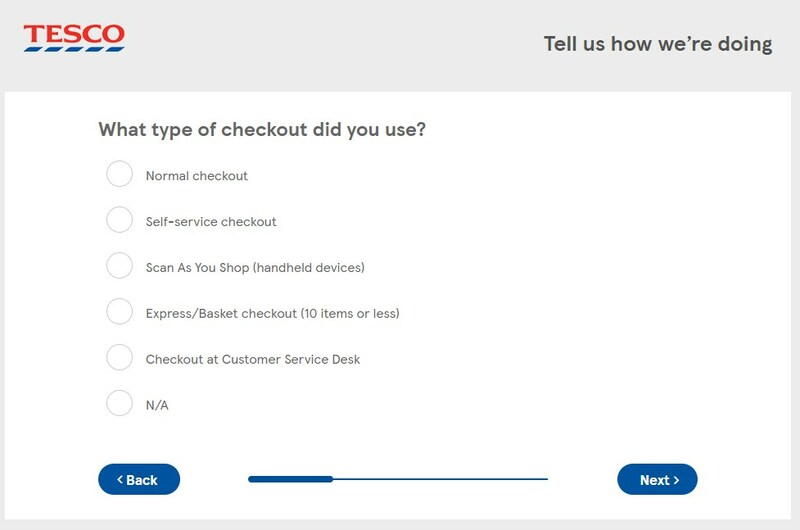 Did you go through their self-serve checkout or a normal one? 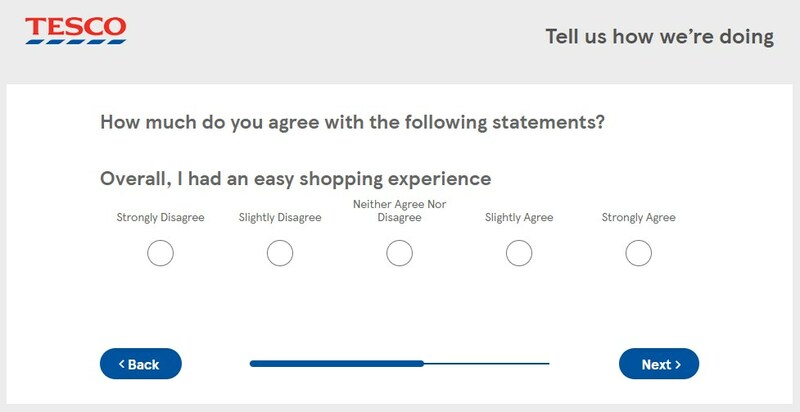 Based on this visit to Tesco, how likely is it that you’ll recommend Tesco to friends and family? Were the Tesco staff helpful and friendly? 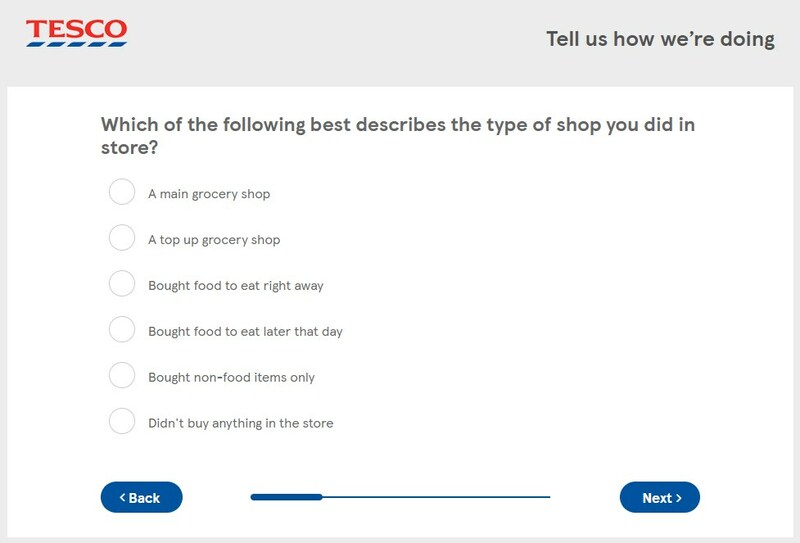 Overall, what was your satisfaction rating with this shop at Tesco? Were you happy with the availability of the grocery items on the shelves? 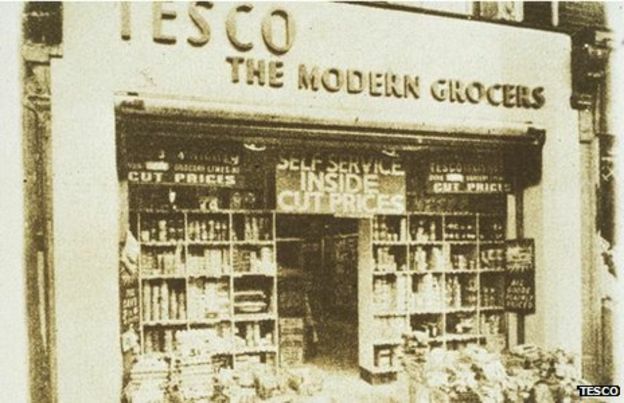 Tesco first started in 1919 as a group of stalls in a local market operated by Jack Cohen. For 5 years it remained a relatively unknown company until Cohen purchased a shipment of tea with T. E. Stockwell and changed the name. He took the initials of T.E.S. and combined it with his last name C.O – and so Tesco was born. The company grew massively over the next 15 years, and before 1940 Tesco was operating 100 stores across the UK. As you know, they’ve kept their expansion continuing, now operating more than 6,500 stores across 11 different countries. 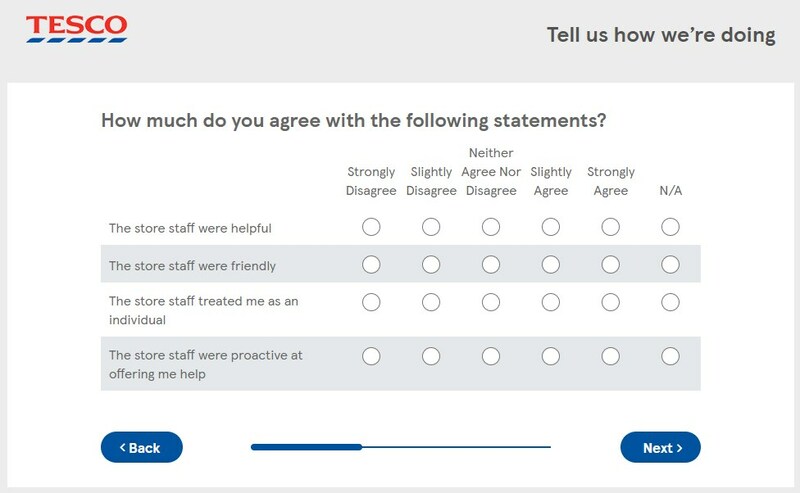 Cohen was likely able to achieve such massive growth by consistently listening to his customers for feedback, much like we see here today with Tesco hosting the TescoViews survey. Although still primarily UK’s favourite grocery store, Tesco has expanded its operations into many new industries to keep up with their ever-demanding investors. Today, Tesco also sells clothing with its own brand F&F, has it’s very own bank where you can open accounts and borrow money, has some of the best value mobile plans, and even has its own magazine. Operating such a big company comes with a big responsibility. Not only towards the shareholders and employees, but also to the wider community and environment where they operate. That’s why Tesco has made it one of its missions to consistently give back to people in need and take care of the society where their businesses are. In 2017 alone, they donated £48 million to feed people in need. An amazing effort to showcase they’re more than just about themselves. If you’d like to learn more about Tesco’s sustainability efforts, you can read about them here. Being the largest grocery chain in the country comes with somewhat of a responsibility to promote healthy eating and living. 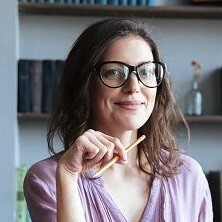 Which is why Tesco’s maintained a longstanding partnership with celebrity chef Jamie Oliver. One of the ways they’ve been doing that is by launching the Tesco Community Cookery School. They’re aiming to help 1,000 people across the UK to improve their cooking skills and help reduce food waste. Which is quite a big problem in the UK. P.S. 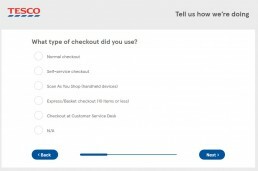 Jamie Oliver would be pretty chuffed if he received a bunch of positive feedback on www.TescoViews.com so make sure to let them know he’s doing an awesome job. Tesco has big plans for the future, but not without threats. One way they’re looking to maintain their market share if by creating a strong brand in lieu of a large number of discounters taking a piece of the pie, such as Aldi and Lidl. As well, they’ve recently made a big commitment to an ambitious goal – aiming to be a 100% renewable energy company by 2030. If they do manage it, we’re sure plenty of customers would show their appreciation on TescoViews. 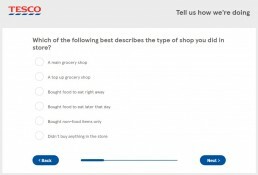 All in all, if Tesco simply continues to listen to their customer’s feedback with surveys such as TescoViews.com, the future is looking bright for the 100+ year old grocery chain. If that’s not for you, you can give them a call on 0800 917 6906. Or, you can have a read of their FAQs. Lastly, use their store locator to find a store near you and contact them directly.